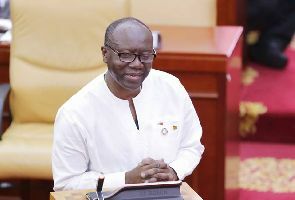 To ensure that government’s spending and investments are in line with the SDGs, the policy objective segment of the chart of accounts (CoA) have been re-coded to include the SDGs targets, Ken Ofori-Atta has indicated. Policies used in past budgets had inferences from the Sustainable Development Goals (SDGs), making monitoring difficult through the policy segment of the national chart of accounts. This new policy approach, however, will help track both the allocation and actual spending on the policy objectives and their matching to the SDG targets. Addressing the sustainability of this policy approach, at the launch of the SDGs Budget Baseline Report, in Accra, Finance Minister, Ken Ofori-Atta said that, with the change in the CoA, whichever government was in power, there would be a manner in which the accounts already worked. The SDG Budget Baseline Report is based on a comprehensive analysis of how the coding of the policy objective segment of the chart of accounts could better track the country’s SDG budget allocations. Although this first report does not give a full picture of the 2018 SDG budget allocation, it provides the template for the presentation of future budgets. It is expected that the 2019 Budget will reflect the SDGs within the GIFMIS Budget Module (also known as the Hyperion) through the chart of accounts to ease monitoring and reporting along the lines of the SDGs. Ofori-Atta stated that, structuring the national budget process to be more transparent and easily understood is crucial for both national and international resource mobilisation to achieve the SDGs. “This, we trust, will accelerate our drive for targeted investments, a key component of Ghana beyond Aid.” Ofori-Atta opined. With this proactive SDGs Budget Report and the re-coded policy objectives, Ghana is taking the lead in developing a national structure and methodology for tracking budget within the SDGs framework, he indicated.